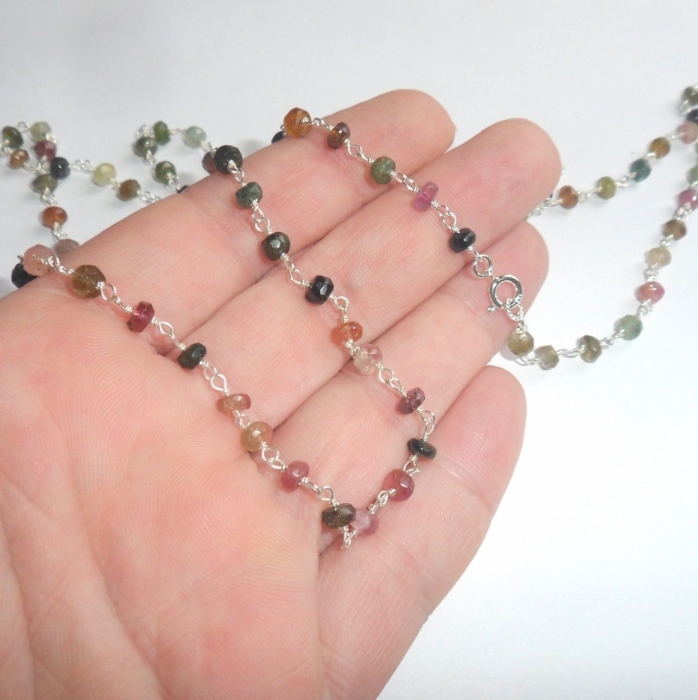 Watermelon tourmaline gemstones set on a super long three way sterling silver necklace. 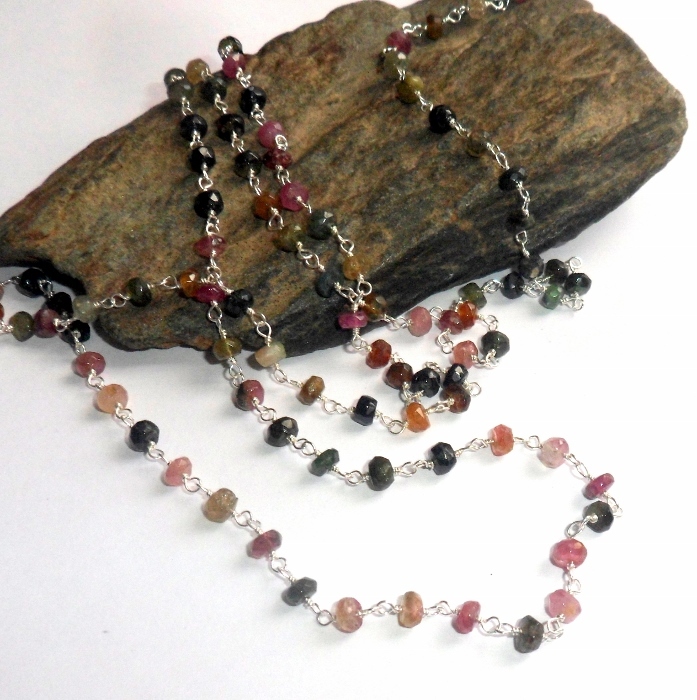 Watermelon tourmaline is known for it's pink center and green rind. Watermelon tourmaline is associated with the heart chakra, and teaches you the meaning of joy and increases your capacity for healing. It attracts the energy of love and compassion. 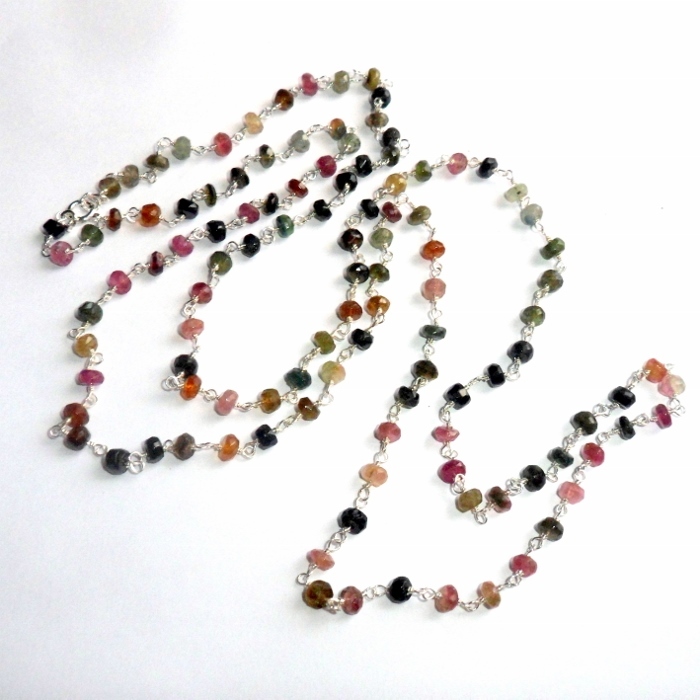 Watermelon tourmaline stones are 3 mm wide faceted rondelles with natural color variation. Necklace is finished entirely in sterling silver and has a spring clasp. Total length 37 inches. 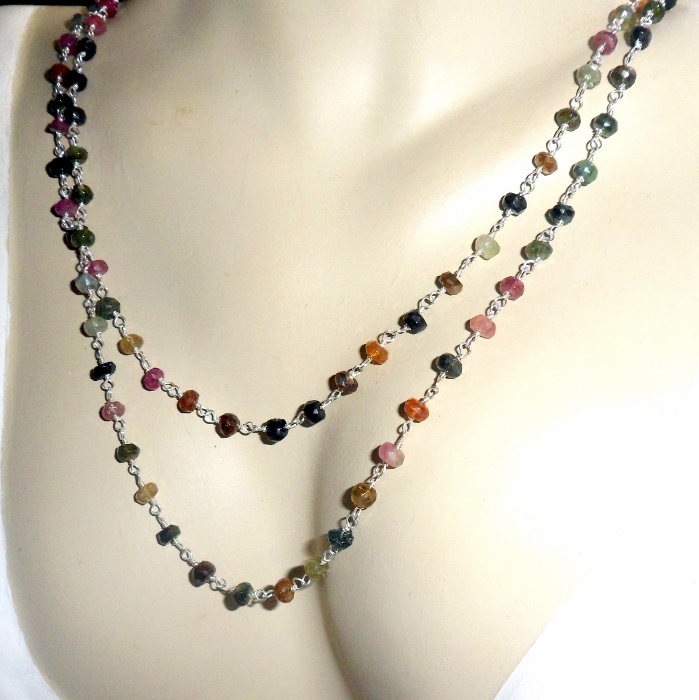 This piece can be worn as a long necklace or doubled around your neck a shorter, double chain necklace.